Vicodin is a drug used to relieve moderate to moderately severe pain that other medications have not been able to relieve. It contains a combination of acetaminophen and hydrocodone. Acetaminophen is a less potent pain reliever that works by increasing the effects of hydrocodone, which is an opioid (sometimes called narcotic) pain medication. These drugs work by blocking pain signals to the brain, thereby decreasing the person’s ability to feel pain. 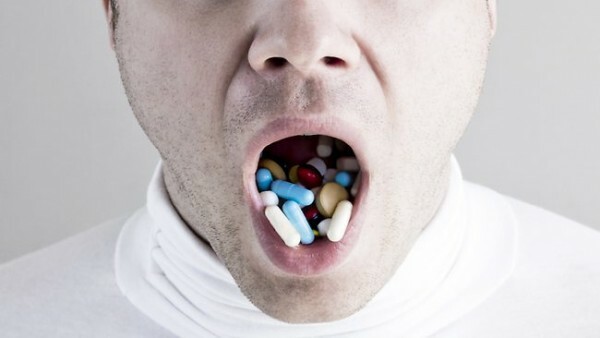 Vicodin comes as an oral tablet and an oral solution. This should not be taken by people who are allergic to acetaminophen or hydrocodone, or those who recently used alcohol, sedatives, tranquilizers, or other narcotic medications. Vicodin increases the risk of opioid addiction, abuse, and misuse, which could lead to overdose and death. It may also interact with other drugs, which can negatively affect the liver, cause even more breathing problems, and other side effects. Vicodin can also cause a severe, life-threatening allergic action. In addition, this drug can stop the adrenal glands from working properly. The body systems that may be harmed by Vicodin include the nervous, cardiovascular, gastrointestinal, dermatologic, renal, hematologic, respiratory, metabolic, urinary, and endocrine systems. For fever and sweating, wear loose, comfortable clothing and use cool compresses. For shaking, try not to resist the tremors and use distraction techniques like watching television or holding heavier objects. For nausea and diarrhea, eat bland foods, eat several small meals throughout the day, drink small sips of water to remain hydrated, and avoid foods that are high in fat and are greasy. For sleeping problems, try to keep a sleep schedule, create a relaxing bedtime routine, and keep your bedroom dark and consider using noise-blocking devices like earplugs or white noise machines. Vicodin is a drug used to relieve moderate to moderately severe pain. Vicodin contains a combination of acetaminophen and hydrocodone that works by blocking pain signals to the brain to decrease the ability to feel pain. Vicodin can cause opioid addiction, abuse, and misuse. Vicodin can also cause a severe, life-threatening allergic action and stop the adrenal glands from working properly.